Jamaican musician, actor, DJ and music producer, David Constantine Brooks, 37, better known as "Mavado" is one of the main highlights at the 2017 World Creole music Festival (WCMF). Brooks was raised in an area known as "Cuban", a micro ghetto within the heart of Kingston, Jamaica's Cassava Piece community. His grandmother gave him his first musical experience at a young age, bringing him to church to sing. He says that the music of Bounty Killer influenced him early on in his music career. And in Dominica in 2017, after he performs on Night One (Friday) of the WCMF he "Ain't Going Back Broke", the title of one of his songs. 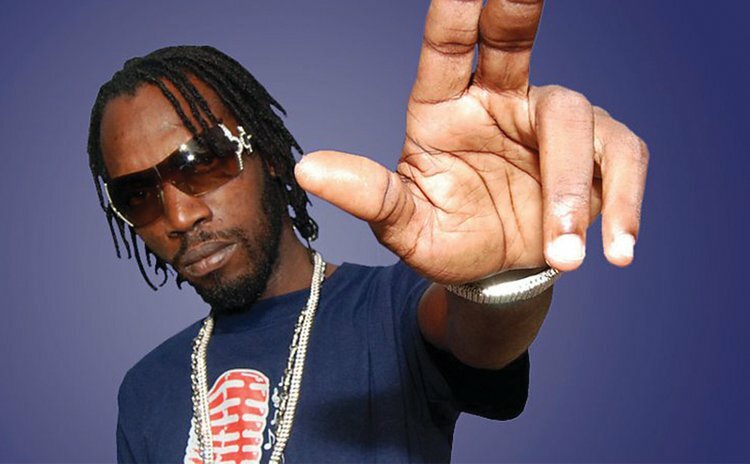 Mavado is just one of the many foreign performers who will be handsomely paid at the WCMF, an issue that local artistes have grumbled about consistently for 20 years. But organisers of the WCMF say that if the festival has to continue drawing huge crowds they have to dish out the dough. And the crowds have been growing since the festival kicked off here in 1997. That's according to Robert Tonge, the Minister of Tourism who spoke at the media launch of the WCMF on Thursday evening at the Fort Young Hotel. He said 6000 fans came to the WCMF in 2016, compared to three to five thousands in previous years. The accuracy of these figures has not been verified; last year the Sun failed in an attempt at obtaining WCMF attendance figures from officials. "The World Creole Music Festival allows us to meet, to discover the wonderful sites, to discover the wonderful sounds and the wonderful people of the Nature Island of Dominica," Tonge said. And Tonge said government has allocated EC$ 1.7 million to the 2017 festival. And Raymond Lawrence, the Chief Cultural officer, believes that the WCMF "has been growing in stature and Dominicans are proud of this Festival". In fact in an article published in Billboard magazine in May 2017, Patricia Meschimo named the WCMF among "The 7 Caribbean Music Festivals that get it right." She wrote that the WCMF "celebrates French-Caribbean genres including Dominica's indigenous lilting cadence-lypso and propulsive bouyon, zouk from neighbouring Guadeloupe and Martinique and Haitian kompa. Reggae and soca are also prominently featured: Trinidad's phenomenal soca outfit Kes The Band, Jamaican-American reggae band Morgan Heritage and German reggae star Gentleman appeared in 2016 alongside Akon, Wyclef Jean, Dominica's legendary first lady of song Ophelia Marie and veteran bouyon band WCK". In Meschimo view, in spite of the island's lack of direct flights from the USA and Dominica's "smaller rustic hotels and guest houses " the Nature Island will redefine the Caribbean experience for many travellers, as will the diversity of sounds heard at the World Creole Music Festival." SUNDAY: Muzik a Nou All Stars, Kalash, Swinging Stars with Calypsonians, Bunji Garlin & Fay –Ann Lyon and Sweet Mikey, the former Haitian President.